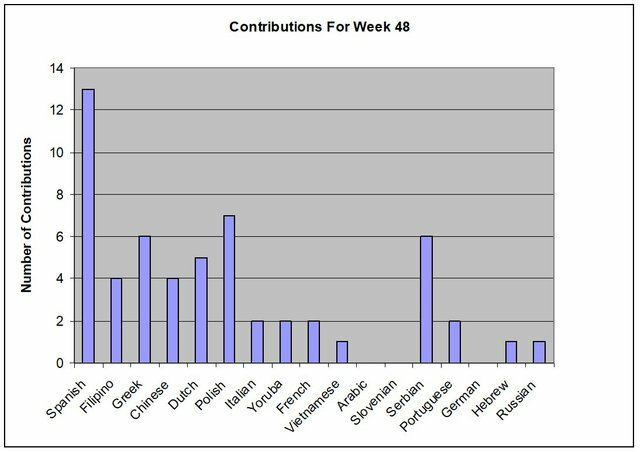 This week, we have 56 Contributions. 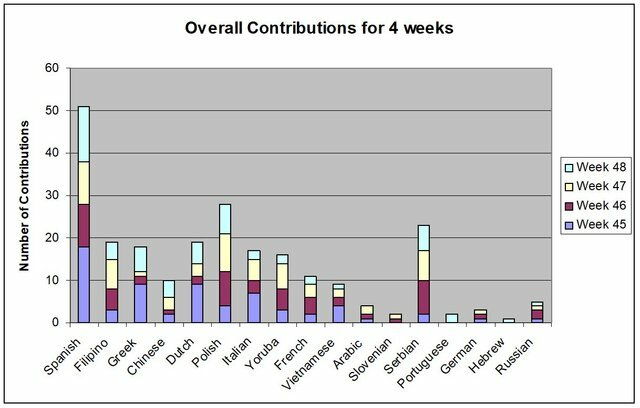 There are no contributions from Arabic, Slovenian, and German teams. 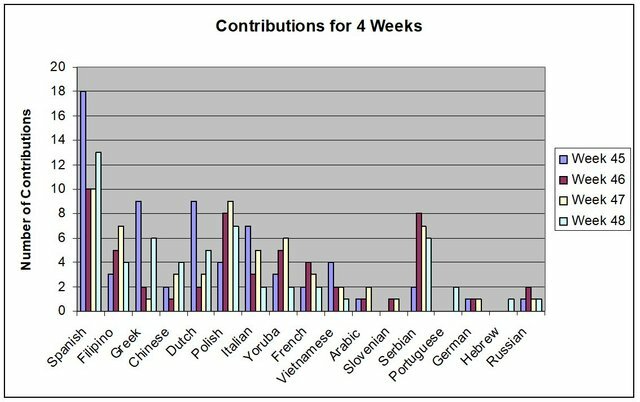 There is no growth in Arabic, Slovenian, German. For the scoring distribution, we have 24 moderators, so I need to group the scoring into language teams so that you can see the analysis clearer in the distribution of scoring. 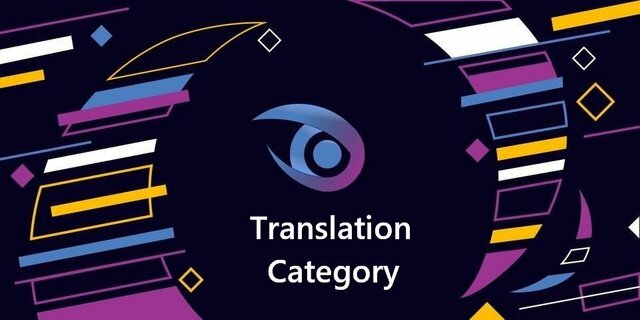 When the new questionnaire is implemented, the scores will better reflect the quality of the translations posts. 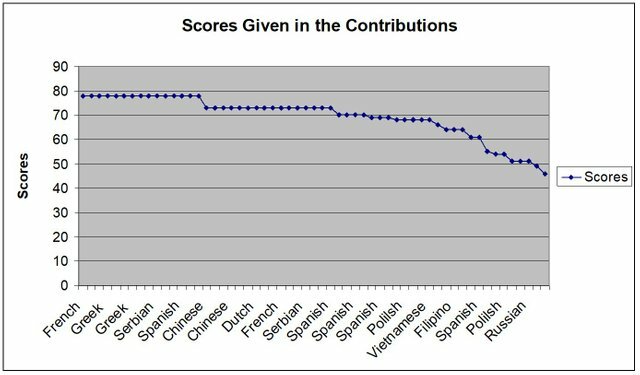 The average score of the 56 Contributions is 69. This week's staff pick is from the French team. It received a score of 78. As noted by the moderator, the translator delivered an accurate translation with correct vocabulary. He was also careful in not translating code values so as not to alter the text true meaning. The presentation post was excellent, engaging and well formatted as he shared about what he learned in the process of the translation. A few things happened this week as there were some restructuring in some teams. 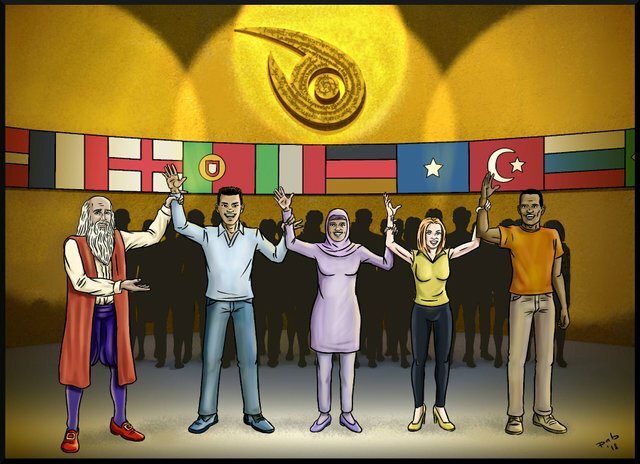 Although we have 102 members on the list, not all the translators are active. In the coming weeks, we will do some restructuring of the teams. Thank you @rosatravels for this week report. As usual, your report is comprehensive and well illustrated. Well done! I appreciate your effort on the weekly reports, and I hope the current week will be better. Thanks tykee for your diligence in reviewing our posts.